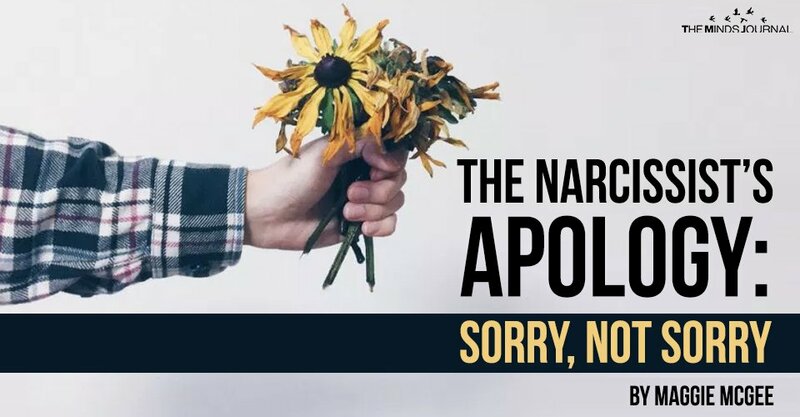 Ever been hoovered back into the cycle of abuse because of a narcissist’s apology? BUT, there are also many who do apologize…in the sense that these words will, on occasion, fall from their lips. The issue isn’t there capacity to vocalize the utterance though. It’s that the intent differs in every possible way from one delivered with sincerity. 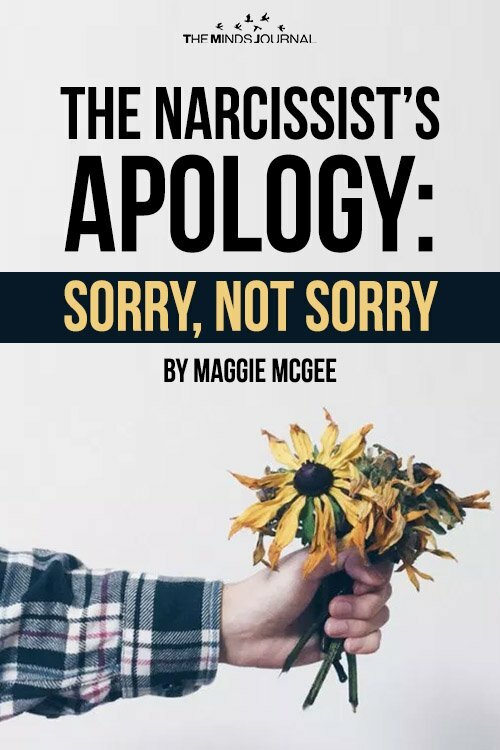 Learning to recognize the narcissist’s sorry/not sorry for what it is, means you are also confronting the reality that they are narcissistic. Maggie McGee is a qualified strength-focused coach with a Masters in Psychology, and is the founder & lead writer at www.narcwise.com. She specializes in empowering people to break free from domestic/family violence & narcissistic abuse, and co-dependency. Her passion is to help people reignite self-love and self-belief by recapturing or discovering for the first time, the magic that is within them. She knows first-hand the disabling effect of the fog caused by narcissistic abuse, and how important clearing this is to reclaiming freedom & joy. Her approach is 'straight-talking' to cut through the manipulation and lies victims are fed to provide practical solutions and kick-start recovery. Sign up for more articles at www.narcwise.com, join the <a href="https://narcwise/">Narc Wise Community Facebook</a> page for support, and get your daily inspiration on Pinterest. Begin your healing journey now!